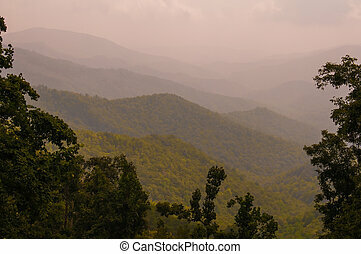 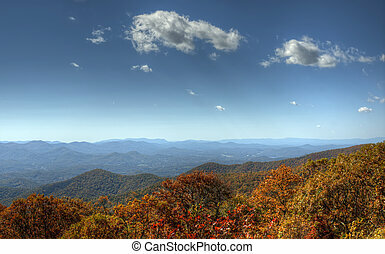 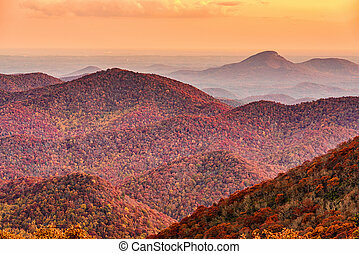 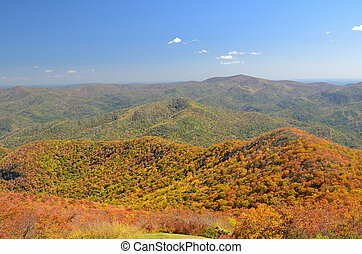 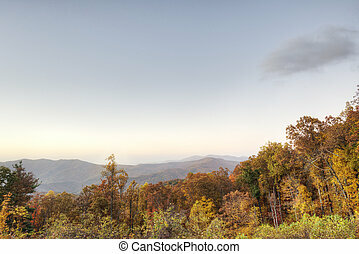 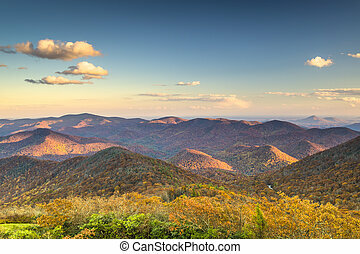 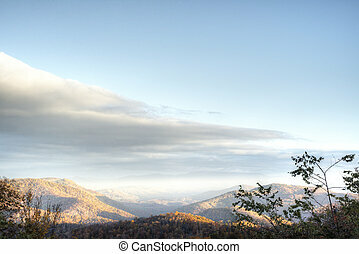 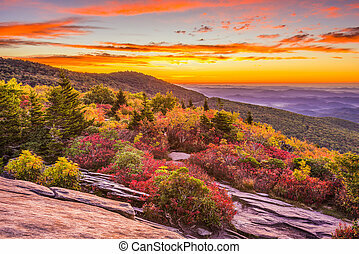 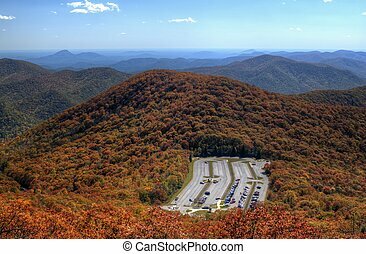 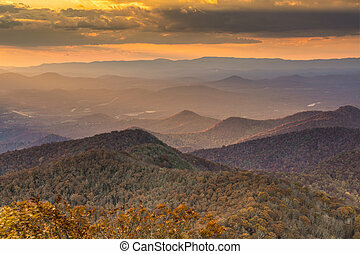 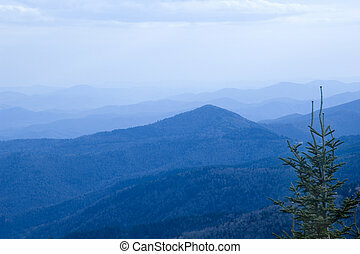 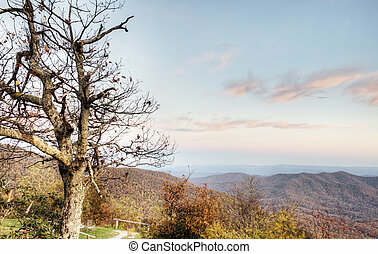 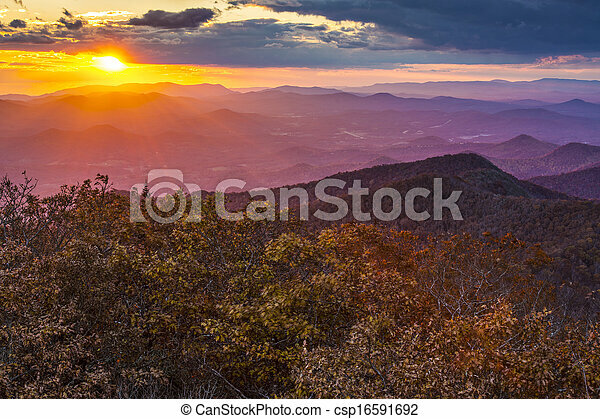 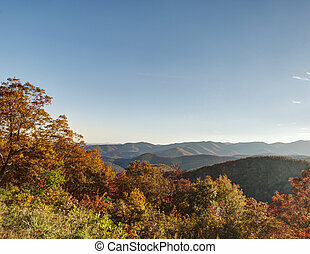 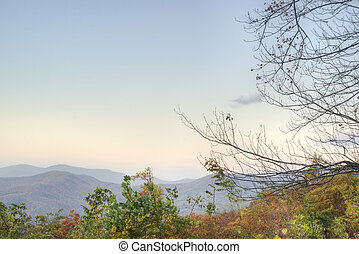 View of the Blue Ridge Mountains during fall season from Brasstown Bald, the highest elevation in the state of Georgia, USA. 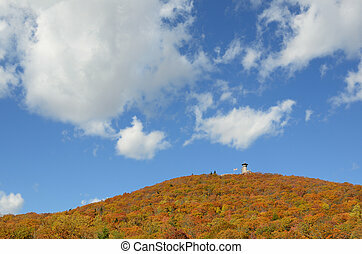 Brasstown Bald, Georgia, USA view of Blue Ridge Mountains towards Blood Mountain in autumn. 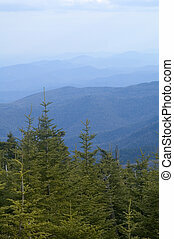 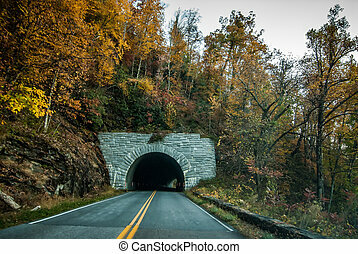 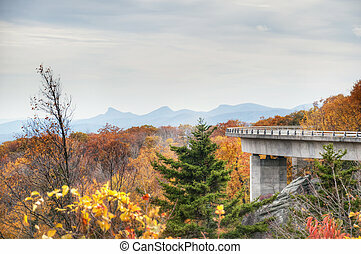 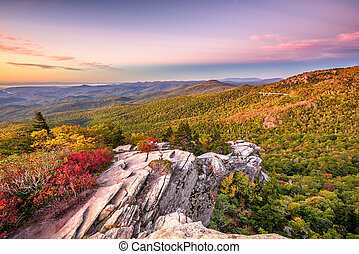 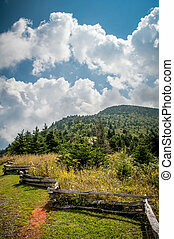 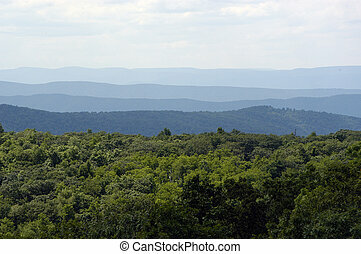 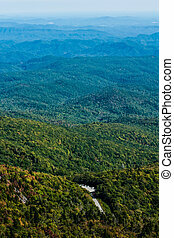 Blue Ridge Mountains landscape at Linn Cove Viaduct and Grandfather Mountain. 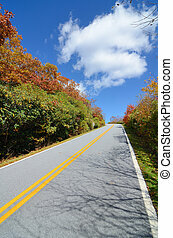 Road in the Blue Ridge Mountains during fall season from Brasstown Bald, the highest elevation in the state of Georgia, USA. 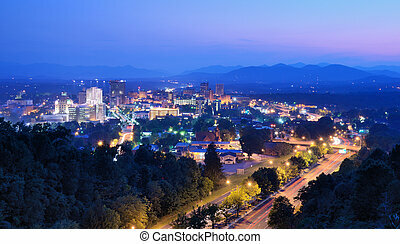 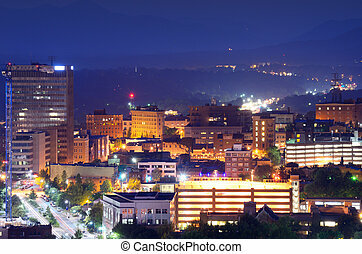 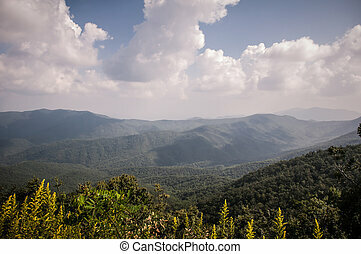 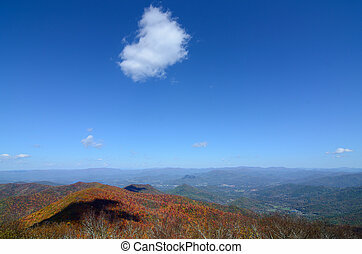 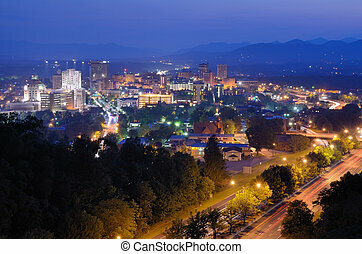 Asheville, North Carolina skyline nestled in the Blue Ridge Mountains.